Monday morning, Moti Rotem, father of Naveh Rotem, the IDF soldier in the Netzach Yehuda-Nahal Haredi Battalion wounded during the infiltration attack on Beit El on Friday, spoke to Galei Tzahal in an interview. He said that his son’s condition has been improving, after he was initially listed in serious condition. On Friday the IDF reported that a terrorist had infiltrated an army post next to the Israeli town of Beit El. The terrorist had snuck up and attacked the soldier, hitting him with a rock and stabbing him. Rotem added that his son remembers the details of the attack in which he was injured. “He remembers that the terrorist came up behind him and sprayed him with mace. “Because of the proximity he was unable to fire at him [the terrorist]. They struggled, Naveh fought with his hands. When he [the terrorist] came to turn himself in, he himself was bruised and wounded,” the father added. This attack was just the latest in recent attacks. 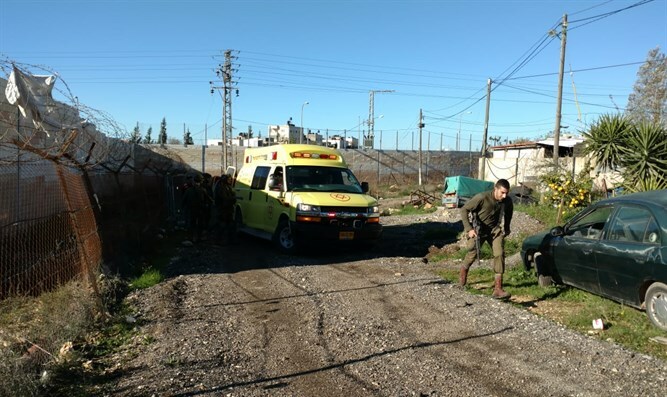 Last week, Hamas terrorists opened fire on Israeli civilians at a bus stop, wounding seven including a pregnant 21-year-old who was forced to deliver in an emergency caesarian section. Her son, Amiad Yisrael died 4 days later as a result of the trauma. On Thursday, terrorists shot and killed two IDF soldiers near the Givat Assaf junction, right outside Beit El. Another soldier, Netanel Ilan, is still listed in critical condition as well as a female civilian who was wounded in that attack. A short time later a terrorist was shot and killed after ramming his car into a soldier in El Bireh, outside Ramallah.